The angular centre Wizard was developed for efficient manufacturing of windows and doors components that are ready to assemble. The traditional tenoned joint of window frames is ideal for contemporary window design focused on a minimal section. All components are profiled from both sides in one passage which makes the machine very powerful. While the WIZARD machine is focused on performance, the SPECTRA machine is designed for finalizing the window and door components. 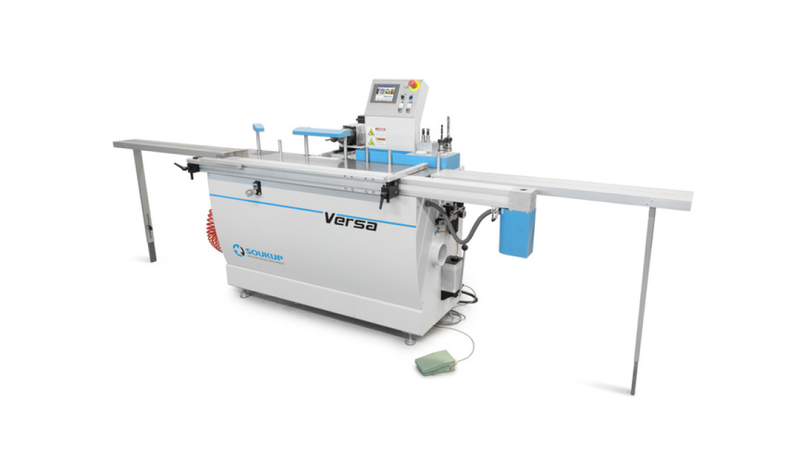 Four-axis CNC controlled by servomotors allows drilling in any schema for dowels and mortising slots for tenons. Additionally, Spectra can make doors components with lock pocket milling, hinge seats and bevelled louvres mortises. Both machines in tandem offer high performance and fully finished components.